Yvresse attests to the fact that it is possible to capture the sensation of champagne bubbles bursting on the lips, while the warmth of the golden liquid relaxes the limbs and melts away worries. From the effervescent top accord to the crystal bottle designed by Joël Desgrippes to resemble a champagne cork, the elements of Yves Saint Laurent Yvresse (formerly known as Champagne) coalesce into a vision of sparkly, exuberant liquid. The perfume has a delicate structure with the transparent fizzy accord of anise embellished fruit foiled with a subtle chilly accent of mint. The harmonious accord perfectly evokes the tingling sensation of champagne bubbles, which rise from the bottom of the flute in a long train. Inspired by Roudnitska’s classic Rochas Femme, Yvresse possesses the same voluptuous form, and once the bubbles fade one can see the sensual beauty of the composition. Yet despite the chypre structure, Yvresse differs markedly from the classical chypre, which requires time to unfold and time to discover yet another vignette hiding in its rich layers. Instead, once the brilliant top notes fade, the rest of the story is an immediate and warm embrace. The embrace of Yvresse is seductive and tempting, and like a sip of champagne, it fills one with a feeling of joy and warmth, a feeling that a less masterfully crafted composition would not have been able to preserve. The name “Champagne” was purchased from Caron, who had it registered for Royal Bain de Champagne (1941), however it was not long before Yves Saint Laurent had to face legal action from the winemakers. The battle was highly publicized, and from the outset it was clear that the wine industry would be relentless in pursuing trademark protection. Indeed, as Winston Churchill said in 1918, “Remember gentlemen, it’s not just France we are fighting for, it’s Champagne!” Yves Saint Laurent had to rename the fragrance, and now it is officially marketed as Yvresse. 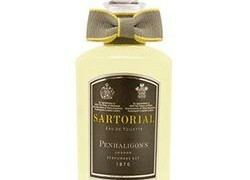 Yet, by whatever name it is called, the vivacious and elegant character of the perfume remains uncompromised. Yvresse includes notes of nectarine, anise, mint, rose otto, blue rose, lychee, oakmoss, patchouli, vetiver. Yves Saint Laurent fragrances are available from Neiman Marcus, Saks5thAvenue, Sephora as well as various other retailers. Please see my interview with the perfumer Sophia Grojsman. Ad from Images de Parfums. violetnoir: I saw this one this weekend at my local discount perfume store and almost asked to look at it. Instead, I purchased Rochas Byzantine, which is very hard to find, selling for $150. on internet etail sites. Katie: “I drink champagne when I win, to celebrate . . . and I drink champagne when I lose, to console myself” Oh that is a great quote! I am going to whip that one out now when needed. I was talking with my mother one day and bemoaning her utter indiffernce to matching the wine she picks to the meal. She snickered at me, and sarcastically asked, “Okay, so tell me this – what wine do you choose when eating corndogs?” And the first answer I had was a slightly too earnest “Oh! Champagne!” Because, honestly it really goes with everything. Including corndogs. I have never lived it down. My family continues to make jokes about it now. Mikhail: To me, the smell of Yvresse does not suggest champagne at all. I’m surprised that everyone agrees so readily with the interpretation proposed (imposed?) by the name and the bottle design. I like the smell, find it sensual and attractive but it is on the heavy side. There is a serious nutty component here (the official base note description mentions oakmoss) which champagne does not have. Possibly also osmanthus. The comparison with Kerleo’s 1000 may be relevant here. Put Yvresse on the back of your right hand and 1000 on the left and wait for 5 minutes. 1000 plays more of course but there are similarities. I agree that Royal Bain de Champagne is totally different, in fact a simpler perfume. Unlike Yvresse, it does have that characteristic lightness of champagne although in a somewhat “milky” fashion. Brenda: Thank you so much for your kind and generous gesture. My favorite fragrance was/is Angel.I have worn Angel since it’s launch. I used to wear Champagne until it was discontinued. 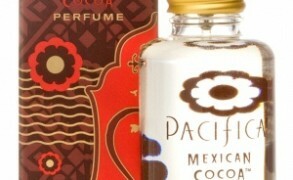 It was a sophisticated fragrance scent to my nose, and the scent stayed with me until I took a shower. Have a blessed, Merry Christmas!